Today I'd like to introduce the website Ms Dress, the're a UK website which sells gorgeous prom dresses. If you have a prom or a special/formal event coming up, it's definitely worth taking a look at some of their stock! I've chosen two of my favourites here which I think would be perfect for any event which requires a full length dress. I think a lot of their dresses would be appropriate for black tie events too due to the glitziness! 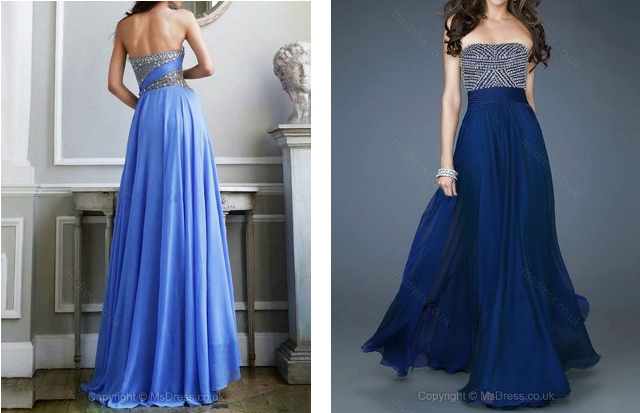 Both are rich blue shades which are perfect for winter, plus I chose both with a similar quite classic style, full skirt with beading restricted to the bodice part. Therefore both these dresses are perfect for formal events and parties without being too over the top - you can easily style these up more if you do prefer something more dramatic with your make up, either a glittery eye or a statement lip. Plus, while the dress is full length you by no means need to scrimp on your heels if you choose to wear them, a bold coloured heel to match either of the blues will perfectly compliment the dress. If you don't like wearing heels you could also wear flats underneath either of these dresses, no one will know and you can end your night without sore feet - heavenly! If it's summer you could also go for a sequinned/jewelled sandal to go underneath your dress. I would say that both of these dresses would look perfect with a simple clutch. If you wore one of these for a winter a faux fur coat or stole would look gorgeous over the dress, perhaps even in a contrasting colour for a rainbow look - pastel pink over the pale blue dress? Fab! As for jewellery if I wore a necklace I would keep it very simple, like a small chain with a charm or something similar as the bodices of these dresses are already quite sparkly. However you could really go all out with a pair of statement disco-ball esque earrings and an updo. This will glam out the outfit perfectly without over doing the sparkle. Such cute dresses! I love the blues! Both the dresses are lovely, although they are a bit too posh for me! Loved reading this. 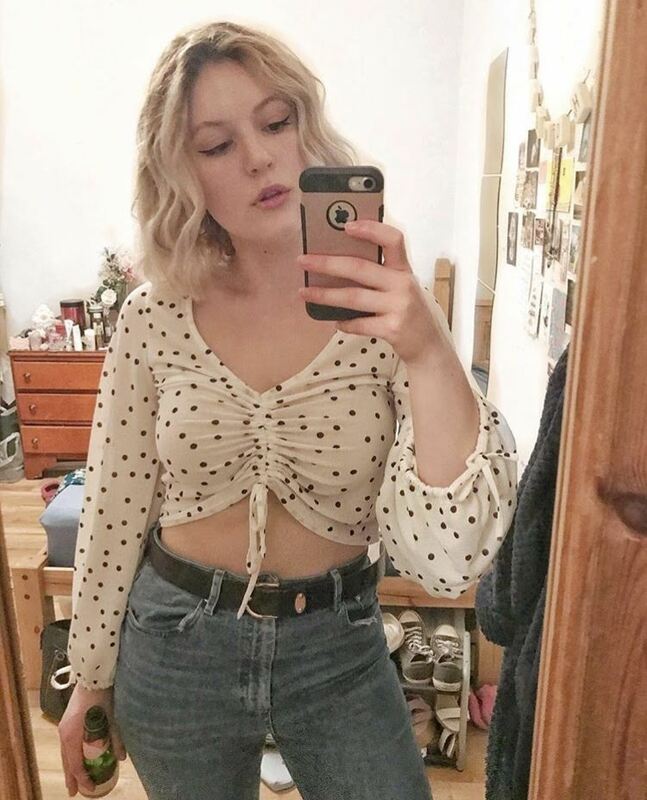 Would love it if you could check out my newest fashion post!